Nike launched the Mars Yard 2.0 sneaker in mid-June through a temporary installation of Tom Sachs's Space Camp on Governor's Island. The Camp involved an obstacle course of mental and physical challenges, beginning with a rope climb and concluding with a swing over a small poll of water and a series of logs to hurdle. It was, by far, the most fun and memorable experience I've ever had to acquire a sneaker—it sure beats standing in line! And I realize it's just marketing for both the Nike and Tom Sachs brands, at the end of the day, but it was imaginative and well-executed and thought-provoking, and what more can one ask for in such an event? 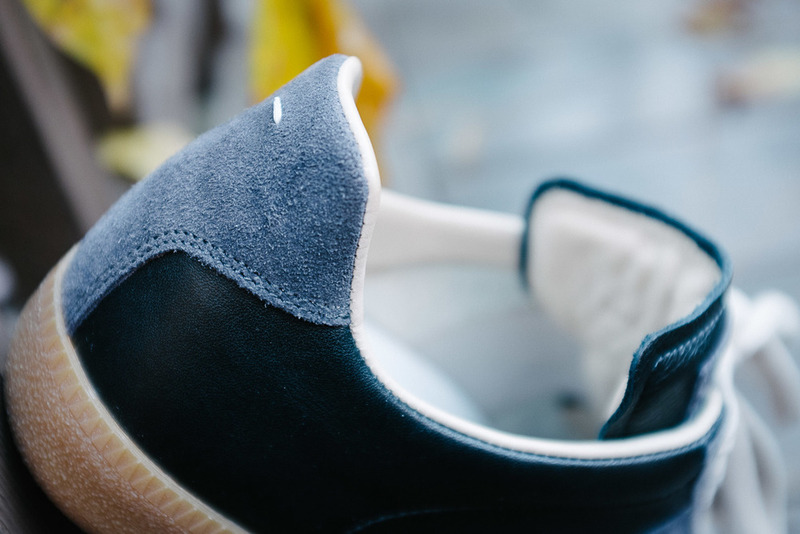 The sneakers themselves have uppers that mix leather, suede, and mesh. 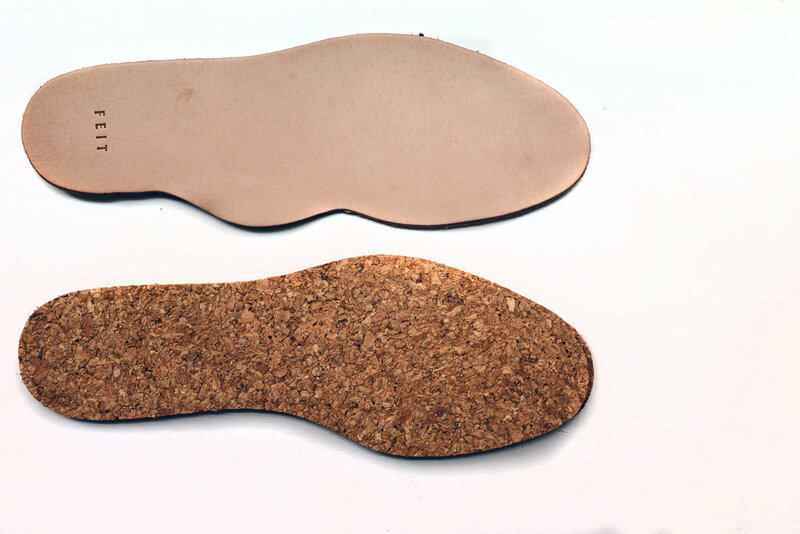 They come with two sets of insoles, one in standard mesh and a second in cork, both with Sachs's sketches printed on them. The box also contains a small, stapled booklet with background on the sneaker's design. In order to get my pair, I first had to sign up for a timed Space Camp appointment on Nike's events website. The appointment slots filled in about five minutes after they went live, so it was doable, if you were paying attention and ready when the appointment times opened up. Fortunately, I happened to be visiting New York, during the time that Space Camp was taking place. On the day of my appointment, I took the subway down to lower Manhattan, but its having been a weekend, the subway system wasn't running normally, and I couldn't quite take it all the way to South Seaport where the ferry leaves Manhattan for Governor's Island. So, I walked the final three quarters of a mile or so in the rain. Once I got to Governor's Island, I had to walk another 20 minutes in a heavy downpour—only later did I and the others who walked with me learn that Nike was running golf carts from the ferry to the Space Camp—and I was soaked by the time I arrived at the location. Those those of you who missed out on the experience but still want to purchase the Mars Yard 2.0, they'll go live on July 8 on Nikecraft's website. In case, you're wondering, they run a little wide but are otherwise true to size (TTS). 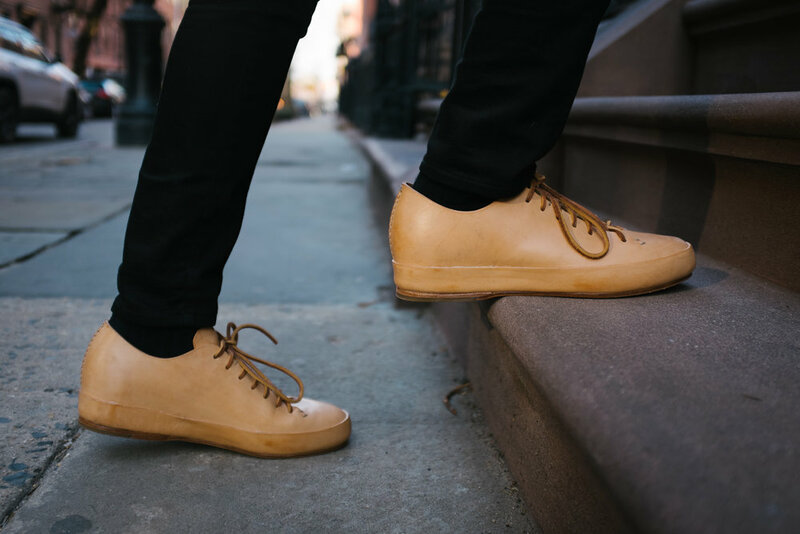 I've long been searching for some premium sneakers that can be resoled and a couple years ago came across the label Feit, which fit the bill. 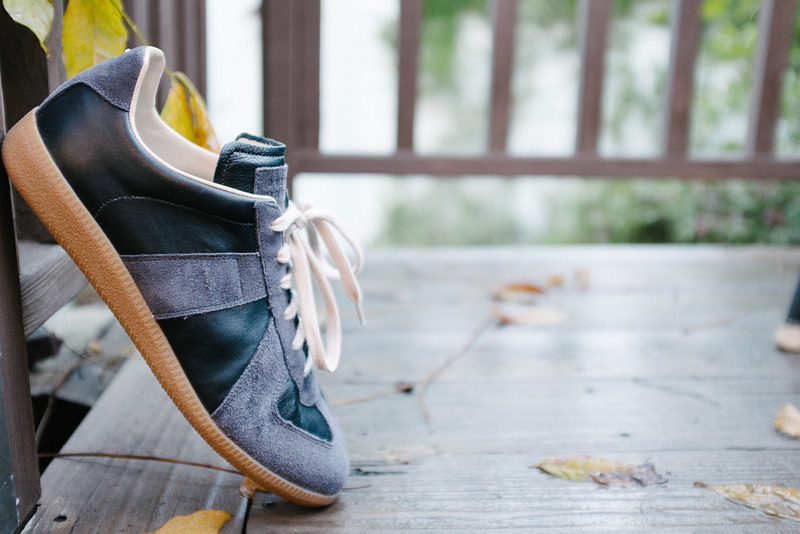 Founded by Tull Price, who also designs shoes for Rag & Bone, and his brother, Feit makes its sneakers in limited quantities. Each pair is handmade by a single craftsperson in China. As you can see below, they even sign a card with the shoe's unique number in the edition that comes included in the box. Also in box are shoe bags—one for each shoe, thankfully, because having one bag for both shoes is just so useless—a set of leather insoles, a pair of cork footbeds, and a set of cotton laces. 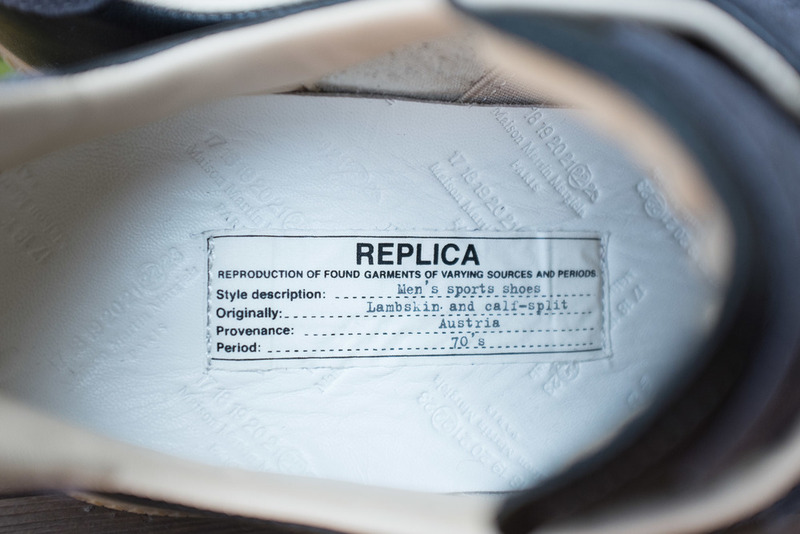 The insoles and laces can be added to the shoes to adjust sizing. I recommend going with your normal sneaker size on these. Half sizes should go up and add the aforementioned insoles, footbeds, or both to make the sneakers more snug. In my case, I wear size US 10 in Nike and Adidas sneakers and went with a size 43 in the Feits. The cotton shoelaces are in addition to the vegetable tanned leather shoelaces that come prelaced on the the shoes. The welt on the sneakers is Goodyear, so you can get them resoled. You can also add a Topy or Vibram rubber halfsole, if you prefer. I'm not a huge fan of the silhouette and look of these, but the quality is undeniable and I like the idea of having a sneaker I can wear often for many years. I'll update this post with more information once I've had a chance to wear them for a month or so. In the meantime, check out my photos of the shoes below. Earlier this year I interviewed the lovely Garance Doré for Twenty Summers, a month-long series of concerts and conversations on Cape Cod that I started with my friends, Josh Prager and Julie Glass. You can watch my conversation with Garance below. Coming soon. In the meantime, here are some photos. I often encounter statistics on how much having a college degree adds to an individuals' earnings, whether annually or over their lifetimes. However, I recently wanted to know, "How much value does adding a college graduate to a local economy contribute to the rest of that local economy?" UC Berkeley economist Enrico Moretti provides one answer to that question in his article, "Estimating the social return to higher education: evidence from longitudinal and repeated cross-sectional data." He writes that, in a given city, "a percentage point increase in the supply of college graduates raises high school drop-outs’ wagesby 1.9%, high school graduates’ wages by 1.6%, and college graduates wages by 0.4%." Your application should be back to normal within a few seconds. As a follow-up to my previous post about the most profitable non-profit organizations, I was curious to see which types of nonprofit organizations were, as a whole, the most profitable. So, I put together the table below using the IRS's data on 2013 filings by nonprofit organizations with a 501(c)(3) designation. Categorizations are based on self-reported NTEE codes. I've recently become interested in examining the performance of nonprofits that are profitable. Typically, organizations seek nonprofit status because their mission matches with one of those defined under the nonprofit tax code and because they believe they will be more financially successful if they are able to offer tax advantages to contributors. In other words, there is likely a shortfall between the revenue that they make from their programs and operations, i.e. earned income, and that which they make from charitable contributions. The idea that nonprofit organizations should be run for a profit is rather controversial, with arguments against often suggesting that this motive runs contrary to the social mission that nonprofits supposedly have. However, I'm willing to suggest that that shouldn't be the case. One of the refrains I've heard in fundraising is that there are only so many donor dollars to go around. As a result, nonprofits feel like they are competing with one another for slices of a pie that is always the same size. To some degree, this is correct: nonprofit donations in the U.S. as a percentage of income have been, more or less stagnant for over three decades. But why should we assume that the pie has to stay the same size year after year? Because nonprofits don't innovate. From Schumpeter onward, innovation has been widely viewed as a driver of economic growth. How do you avoid competing with the same organizations for slices of the same pie? You make the pie bigger and you create new markets. How do you do this? You develop new products and services that people want. The reward of doing this is profit. Profits allow organizations to grow—to hire more people, to invest more money in research, to innovate. In the for-profit world, that means more money eventually going back to shareholders. In the nonprofit world, it means more money that can be put to use serving an organization's mission. If your mission is to serve a particular constituency or cause, the best ways to ensure that you will be able to fulfill that mission in the future are to raise an endowment or to develop a sustainable, profitable business model. I was curious to know which nonprofit organizations actually have decent profit margins, so I took a quick look at 2013 990 data to find out. I set minimum thresholds for both revenue and expenses. Organizations had to have at least $1mm in annual program revenue and at least $100k in expenses to make my first calculations. I started by calculating program margins for U.S. nonprofits, using the program revenue and total expense lines from their 990 forms. The first thing I noticed was how many organizations that receive tax-exempt designations from the IRS are not the sort that we typically think of as nonprofits. There are employee unions and pension funds. Organizations with a single funder and retirement trusts. The NFL's player health reimbursement account and the committee to bring the Super Bowl to New York. My initial list was not particularly useful to me. So, I added some further restrictions. Organizations that appear below need to have 501(c)(3) designation, and they need to employ at least 10 people. These restrictions are a bit arbitrary, but they do help cut out some of the noise. One of the problems with calculating program profitability is that the line between what counts as program revenue and what counts as contributions isn't always obvious. For example, when you purchase a membership to the MoMa, most of the cost is considered a tax-deductible contribution, even though you would think that what museums sell is access to their collections. So, I went on and calculated total profitability in the subsequent tabs, which accounts for all revenue streams, including investments, contributions, and grants. The problem with that is that organizations often receive large one-time contributions that don't really reflect the ongoing health of their business. For example, for the most recent fiscal fear reported by SF MoMa, their revenues were up by about $150mm over the previous year. So, it would be useful for someone to see how much of a current year's profitability can be explained by profitability from previous years. I'm not sure how useful this exercise is, but there do seem to be some outliers near the top of this list, which merit more investigation. For example, Shen Yun Performing Arts and Portland Theater Productions seem to have incredible margins. As a follow-up to my post about the most profitable American nonprofit organizations, I wanted to calculate a list of the largest nonprofits in the arts. You can find the top 5,000 in the table below. Click on the individual tabs at the bottom to rank them by revenue, earnings, assets, and employees. All data comes from the IRS's public database of 2013 990 filings by tax-exempt firms. Field of Dreams came out on May 5, 1989. My father died on June 1, 1989, and I saw the film in the theater a couple weeks later. It's a film, in many ways, about fathers and sons—about the impossibility of communication and communion between them made seemingly final by death and about the powerful fantasy of being able to reverse that years later. For a son to have one more catch with his father, one more conversation. Who wouldn't want to believe that? At eight, in the summer of 1989, I wanted it more than anything. And for years after, Field of Dreams remained my favorite movie. I bought the DVD to take to college with me. I learned that the film's James Earl Jones character had originally been J.D. Salinger in W.P. Kinsella's novel, Shoeless Joe. When Salinger threatened to sue over the film, the screenwriters imagined a new, but similarly reclusive, writer to take his place. I found Archibald Graham in the Baseball Encyclopedia, where his stats matched those in the film. What's more is that his story—the briefest of flashes in the pan, a single inning of a game, followed by a long, distinguished career as a local doctor—is largely true to life. I learned that the field had been built for the film and since preserved as a tourist attraction. Of course, I wanted to go, but still haven't been. I learned how the film's final scene with cars approaching the field at night was shot—locals parked their cars along the road to the diamond and turned their headlights on and off. When filmed from a helicopter—if only they had had a drone!—this gave the impression that the cars were in motion towards the field. I watched the film every year or two, still loved it, though I realize that many viewed it as schmaltzy. My unassailable defense has always been the circumstances around which I first encountered the film. But that's something of a cop-out, perpetuated largely by my belief that this film, at its core, is about fathers and sons. Does anyone recall that James's Earl Jones's fictional film father reports him missing after Kevin Coster takes him to a Red Sox game and then on to Minnesota? Or that Jones's initial encounter with Costner mirrors that of Costner and his lost father? Or that Lancaster is the other side of a man like his father—someone who gave up on a more attractive (at least to a son) dream of playing professional baseball to live a fairly conventional life as a doctor in his hometown. It's a choice that most boys, even after they become men, can't understand. But because this is a fantasy, Lancaster gets a second chance to play ball, Coster gets a reunion with his father, redemption is possible. As Jay Gatsby said, "Can't repeat the past? Why, of course, you can!" And that brings me to my most recent viewing of the film. It's still about fathers and sons, but it's now about something else to me too—the long periods of time, the years and decades, in between real chances in one's life. It's about the sadness of that absence of opportunity that makes up most of a life. The moments when chances present themselves and then disappear, often forever, are so few, so far between. That's what the Costner character, Ray Kinsella, realizes and what prompts him to build the baseball field, to listen to the voice, to risk his family's finances. He knows that he may never be able to do so again. After about nine months of having my iPhone 5, I noticed that it seemed to be draining faster and would be empty by the end of the day, if I didn't charge it. I hadn't changed my usage patterns, but it was clear that the battery just wasn't performing as it had before. I had to resort to carrying an external battery with me and plugging it in whenever I could. Then a couple months later, things got significantly worse. The battery would go from, say, 40% to 10% in a second. Or from 20% to 2%. The phone would often shut down, even though the battery indicator showed 20-30% charge remaining. I could not turn the phone back on until I plugged it back in. Sometimes, it would turn on and work a while longer. Sometimes, I would turn off again once I unplugged the charger. Something was wrong. This summer, Apple acknowledged problems with the batteries in an early run of iPhone 5s. However, when I checked the serial number of mine in its online tool, it was not eligible for a free battery replacement. So, I took my phone to the Apple Store and complained about the battery life. They ran some tests that showed that the battery's full capacity was at just under 90%, which is normal for a battery with around 300 charge cycles, as mine had at the time. The full capacity of a new iPhone 5 battery should be 1440 mah, but with time and use, that decreases. So, a 100% full charge doesn't mean the same thing on a phone that's two years old as it does on one that's brand new. I had previously checked the capacity of my battery using a tool called iBackupBot, which you can download for free. Sometimes it was in the 85-90% range, and sometimes it was in the 60% range. I explained this to the Apple Genius, but he insisted that the battery itself was in good shape and that I likely had a software problem. How can I solve this, I asked. He told me to wipe the phone and set it up as new. I.e. do not restore it from a backup. Because I do not want to upgrade to Apple's current iOS, which would slow the performance of my phone, and because I wasn't in a position to be able to backup information from my phone at the time, I rejected this solution. Instead, I decided to try my luck with a new battery. When I asked that Apple install one for me, they declined because, according to their tests, the battery was in acceptable condition. So, I went on eBay and purchased a battery and the tools required to install it from a seller called ambassador-west. With shipping, it cost $7. It arrived two days later, and I installed it using the instructions in the video below. (If you're willing to pay a little more, you can get one from Amazon with Prime shipping here.) Other videos and instructions you might find online suggest that you remove the cable that connects the screen to the logic board. I recommend that you not do this. It makes the installation process a little more difficult because you have to hold the screen while you're removing and inserting the battery. However, I've read many accounts from people who were unable to successfully reattach the small, fragile cable, rendering their screens blank. The entire process took about 15 minutes. The results, as the screenshots at the top of the post indicate, have been excellent. If your iPhone's battery life has become poor or erratic, you may just want to try replacing it. The time required is less than you would need to restore the phone and reinstall all your apps. And you don't have to worry about losing your data.